This pivot style automatic production band saw has a unibody frame, which contributes to the saw’s rigidity and helps to reduce vibration. 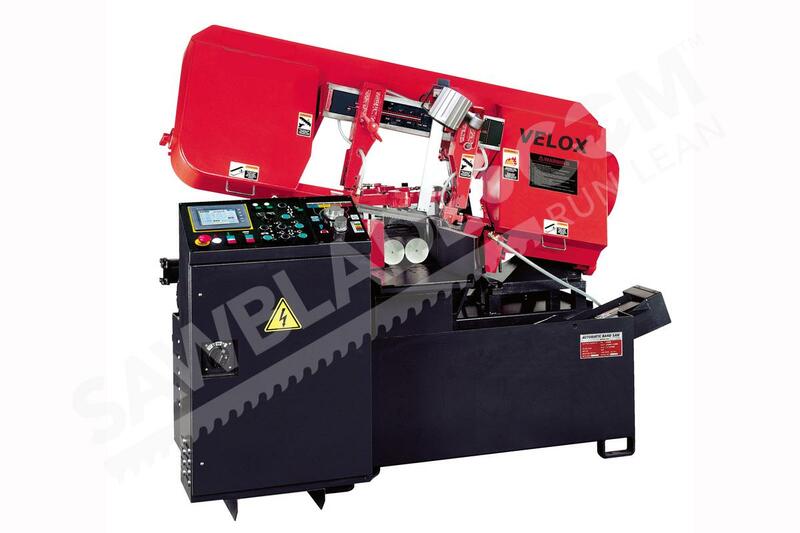 Less vibration means that the Velox LX-250NC band saw makes extremely accurate cuts. Indeed, many of this cutting machine’s features contribute to its ability to make fast, precise cuts on a variety of materials. With heavy-duty cast guide arms with carbide side and backup guides that include roller pre-guides, the Velox LX-250NC holds blades firmly in place. Steady blades improve saw accuracy, so operators can achieve exact cuts. The full stroking hydraulic vises on the Velox LX-250NC also contribute to accurate cuts. The vises hold both sides of the piece still while the saw cuts, increasing precision and reducing burrs.